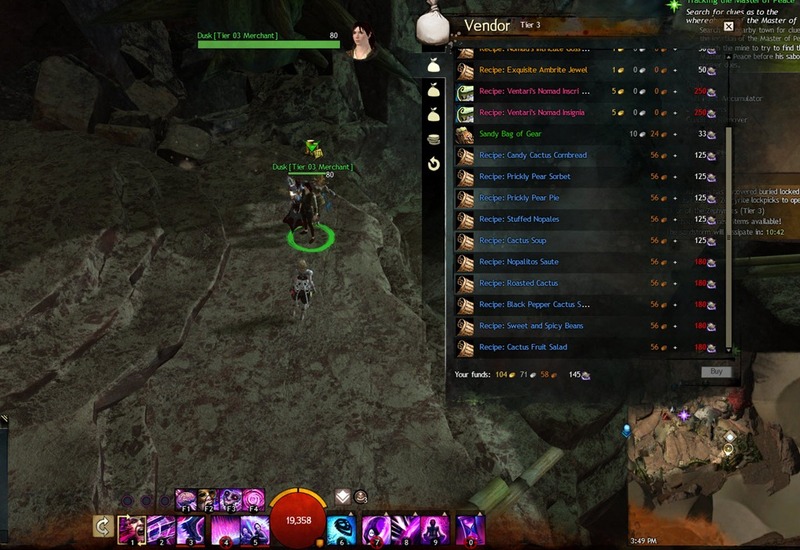 The recipes are obtained from merchant next to the Dry Top Entry Waypoint. The ware he sells is based on the tier the map reaches. You need a tier 3 merchant to see all the recipes but getting a tier 4 merchant will make the recipes slighly cheaper. 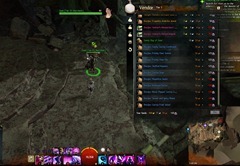 To purchase the recipes, you need Geodes which are obtained as rewards from the events inside the zone, from doing the living story instances and from living story achievement chests. Where do I get Nople and Prickly Pear? Food are account bound when made, just a reminder. You cannot sell them. Annoyed that these can’t be sold on TP. The new food can not be sold on TP? Only characters who are Chefs can eat them? Is account bound, so all your lvl80 characters can eat them, but you need a lvl400 chef to craft it. Here is either a glitch or intentional w/ respect to these new recipes. The ones you buy from the NPC vendor do not have a level req for your crafting char. But the Recipes you get from drop do. Case in point… My Chef is just a crafting toon, and therefore only level 33. I got Bowl of Black pepper Cactus salad as a drop today and it will not let me learn the recipe need to be level 80 and chef 400. Mind you this is only for Drops not bought…. I’m actually kind of ok with that, might give back some value to various crafting mats. Seems very little in (regard to chef crafting) is valuable on the TP. Has been waiting for article like this. Dulfy, you are the best! Might want to note that Prickly Pear Pie Filling has to be discovered, and isn’t learned from a recipe or automatically.